Our main purpose is to promote and market slow fashion and its designers by appreciating the art of craftmanship. Hoera!! Nike Ayinla - Orisun is geslaagd! Dankzij 47 donaties die samen € 2.030 opleverden voor Nike Ayinla. 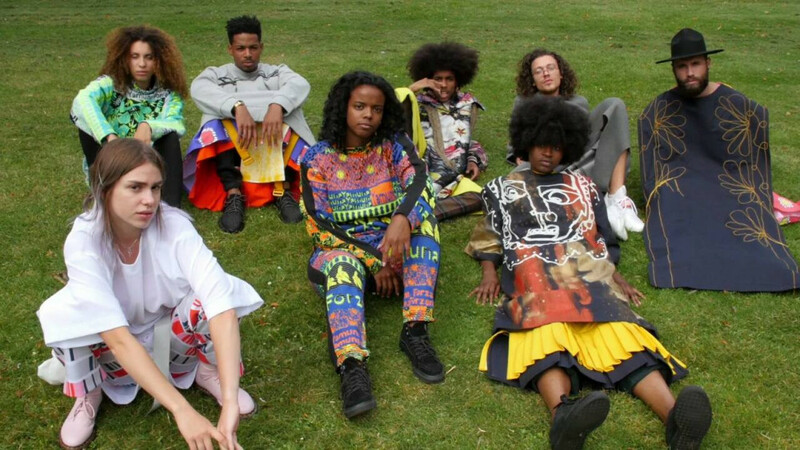 We are an online platform for young designers coming from various fashion and art academies. We need your help and support to succeed! Wij zullen als tussenpersoon fungeren door ze te volgen vanaf de academies. We moedigen de consumenten aan om slow fashion en de makers te waarderen en brengen de ontwerpers dichter bij de consument. Waarom zou je Orisun moeten steunen? Er zijn veel interessante ontwerpers en ontwikkelingen op academies, die na de studie niet vertaald worden in de buitenwereld. Hun eigenheid en talenten blijven namelijk vaak onbenut en worden beperkt bij de bedrijven waar ze belanden. Wij bevorderen cultuur en laten zien welke concepten en kunststromen in design vertegenwoordigd zijn. Orisun zal hulp bieden met de verkoop en marketing van hun creaties, en consumenten laten zien dat slow fashion ook draagbaar kan zijn en ethisch meer verantwoord is om te ondersteunen. Orisun zal verder ook verslagen van de diverse afstuderen shows bieden, interviews met opkomende ontwerpers afnemen en werken aan editorials en fashion films , Dit zal allemaal het belang en draag vermogen illustreren van de kledingstukken. Met uw hulp zullen we in staat zijn om onze website te voltooien en dit talent aan een breder publiek tonen! Orisun is an online platform for young designers from various fashion and art academies. Our goal is to launch our official website. It will be dedicated to promoting young talented designers and slow fashion under the directory and curation of Nike Ayinla and Tara Mercera. What do we do?We will act as an intermediary by following their progress at the art academies. We will encourage consumers to support slow fashion and the designers and bring them closer to the consumers. The website will be of tremendous value for the new entrepreneurs in the fashion industry. There are many interesting designers and developments that the outside world does not get to see after graduation. Their singularity and talents are not put into good use at the companies where they usually end up. We foster culture and show which concepts and art forms are represented in design. 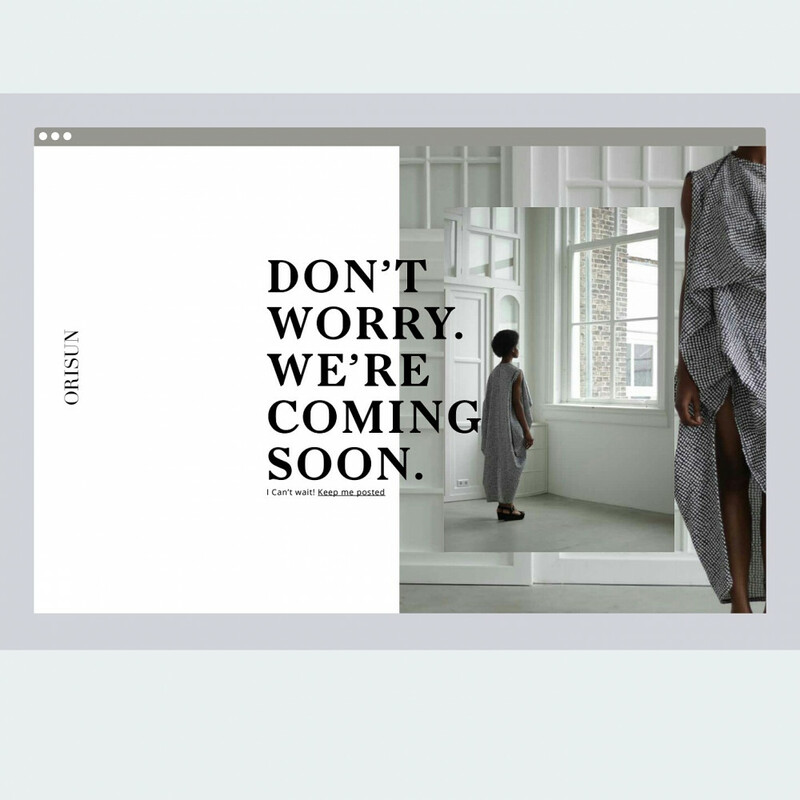 Orisun will offer them help with marketing of their creations while at the same time showing consumers that slow fashion can also be wearable and is ethically more responsible to support. Orisun will provide reports on various graduation shows, undertake interviews with upcoming designers and create editorials and fashion films, all illustrating the importance and wearability of the garments. Orisun’s aim is to educate and encourage consumers to appreciate and embrace slow fashion and its creators, by bringing the designers closer to the consumers. With your help we will be able to finalize our official website and showcase these designers! Ons project is een work in progress en het neemt vrij veel tijd in beslag om onze doelen volledig te realiseren. Zo kregen we ook te maken met een aantal uitdagingen terwijl we werkten aan onze eerste Fashion film. Orisun is een non-profit initiatief, dus we kunnen niet rekenen op enige vorm van vast inkomen. Je kunt je voorstellen dat we ons uiterste best hebben gedaan om het eerste product te financieren, Gelukkig is dit toch gelukt, maar om dit platform in stand te houden en om de studenten goed te kunnen ondersteunen hebben wij uw hulp nodig! Our project is a work in progress and it will take time to fully realize our goals. We have already encountered a few challenges while we were working on our first fashion film. Orisun is a non-profit initiative, thus we cannot rely on any type of steady income from the project itself. You can imagine that we have done the best we could to finance this first product,but at the end it all paid off! However, there will be more coming up and in order to properly support these students we need your help to kickstart our official blog! Wat doen we precies? Wij zullen als tussenpersoon fungeren door ze te volgen vanaf de academies. We moedigen de consumenten aan om slow fashion en de makers te waarderen en brengen de ontwerpers dichter bij de consument. Last project before the launch! First try out with the drone! Orisun is styling rising star Jeangu Macrooy! Check out is performance for DWDD! You are not just doing us a favour, we represent young designers all over the country! You are being ethically more responsible for supporting sustainable fashion! We work with many young creative students. We support young talent in general! You are gaining karma points for contributing to a good cause! Join the tribe! Be part of a community that is inclusive and that embraces diversity! Trots op de jonge meiden met hun inspirerende ideeën. Ik moest. People need to chop my dollah. Giving young talent the chance they deserve. Young people doing their best to do positive things need our support to grow in their efforts. It sounds like a fresh concept that I'd love to see in reality. Nike is an ambitious lady. She and her team of people have my support! I got u fam ! I know one of the founders of the project and I would like to help her succeed in what she loves to do. Wish her success. 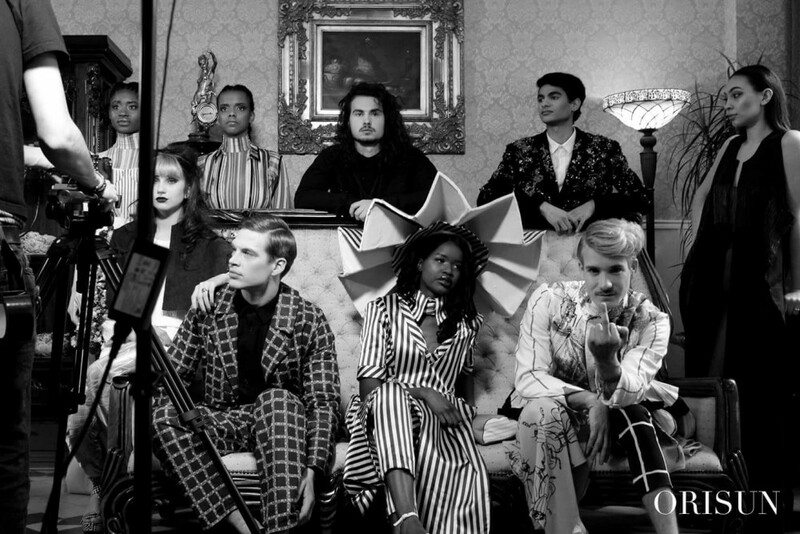 Join the tribe, get to see our first fashion film and collaborate with us! Join the tribe! Share some good vibes by supporting a good cause! Note: Fashion students from various academies around the world will automatically be part of the project. Every contributor will get an exclusive ticket to see our first fashion film before its online release! Which will be a screening at an art academy! You will recieve an invitation to our release party! Promote your company on our website! Design by choice! For this amount you may choose from a selection of designs that we are offering.